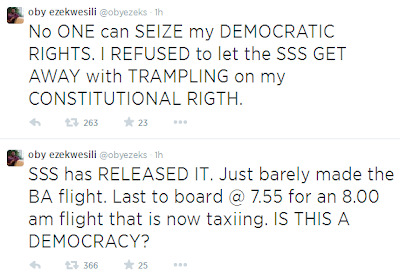 Welcome to easy-e blog: Ezekwesili released after being arrested and passport withheld at Abuja airport. 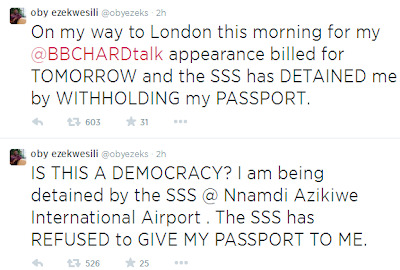 Ezekwesili released after being arrested and passport withheld at Abuja airport. 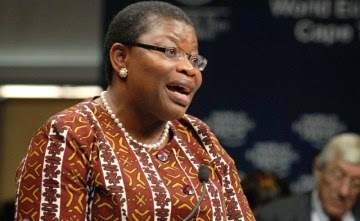 Just this morning , former Minister of Education, Obiageli Ezekwesili, was arrested by SSS agents at the Nnamdi Azikiwe International Airport, Abuja, as she tried to travel to London in which she was set to appear on the BBC Hardtalk programme but was prevented from boarding her flight by security operatives. She even took to her Twitter to voice her displeasure on the unfair treatment she was receiving . New reports confirm and she even tweeted that she has been released and has boarded her 8 a.m British Airways flight at 7:55 a.m. She is currently Airborne . Read more tweets below .